In the past year a U.S. congressman was embroiled in a publicity nightmare after he spoke at a meeting. There were some white supremacists in the group. The attacks came from all over the media. The rebukes were scathing and I believe to some extent rightfully so. It would be wise for us as a society to move away from hatred that kills. I believe that most reasonable people would agree with me on that point. Last week I wrote a column that included pointers to several Political arenas on the Internet where people can go put in their two cents. You can read that article and go to those sites by going to www.bobgreen.com. I was curious about how many people have been murdered in the past one hundred years by white supremacist groups in the U.S., so I posted that question at several of these News & Politics forums. When drawing information from these types of sources, it is critical to realize you are speaking with people of all different education levels from Harvard grads and professors to the barely literate. You have to take everything with a grain of salt - actually maybe more like a bag of salt. That being said, the results of my informal survey ranged from less than a hundred murders to just over five thousand murders over a hundred year span. At even the lesser amount, that's a bunch of people to be killed for a bad ideology, wouldn't you agree? A bad ideology is kind of like a computer virus. There is something that appeals to the user to get them to open the email or the program that it resides in. Once inside, it begins to do its damage. It's not that the computer is a bad machine if it quits working or starts to do malicious things, but a bad program has infected it. In other words, there are probably a lot of "good" people that identify themselves as white supremacists, or black panthers, or any one of a thousand different hate groups. If I told you I have found another ideology/virus that has been responsible for more deaths and hatred than white supremacist groups, would you want to be aware of it? Would you want your family to be aware of it? We certainly wouldn't want our politicians and leaders to support it, would we? This one is especially sinister because it looks good and appeals to our sense of fairness and it makes a lot of sense on the surface. Drawing from the same News and Politics forums previously mentioned and applying my "bag-of-salt" skepticism, I have learned that this "virus" has claimed at least thirty-four thousand times the amount of lives that white supremacy has caused - in less than nine decades! One hundred and seventy two million is the actual estimated number. It was interesting how I began learning about this "wolf in sheep's clothing" thought process. A historical document from the Nazi Third Reich landed in my hands and my curiosity was aroused. Where did the hatred come from that would cause a country to turn on its own people and slaughter them in the millions? How were ordinary citizens so deceived to grow into such monsters that they would turn on their own neighbors? My research turned up a 1995 letter to the editor of the Washington Times that led to more research and many, many conversations with people around the world. http://www.ideasign.com/chiliast/pdocs/hitler.htm The official name for the Nazi Party was The National Socialist Workers Party of Germany. The writer of the letter blamed the hatred on the socialist ideology. Of course, the other countries that have a socialist root were Communist Russia (United Soviet Socialist Republic), Red China, Cambodia, North Korea, North Vietnam, Cuba and many more that are all steeped in the same types of atrocities. So what is socialism, really? The basic principle of it sounded pretty good as I started reading; "From each according to his ability, to each according to his need" The American communist party website http://www.hartford-hwp.com/cp-usa/docs/about.html proclaims socialism is it's ideal for a utopian society. "For socialism, a system that puts the working class and oppressed people in power", the webpage touts. But . . . what happened? How did this turn into the Iron or the Bamboo curtain? How did this end up in the human disaster of Stalinist Russia where approximately seventy two million people were killed? I have a layman's theory from all that I've seen and all that I've read. People that believe in this system really want it to work. Unfortunately, it doesn't work, at least not when it becomes the driving political force. It only works as kind of a parasite on an otherwise healthy political system. Anyway, under a totally socialist regime, the more it doesn't work the harder they try to force it to work. Rather than admitting it doesn't work, they blame sectors of their society for the problems and declare them eaters or parasites and march them off to the gulags and gas chambers to be "eliminated" so the rest of society can prosper. That's not paranoia, that's history and that's fact. From farmers, to Christians, to educrats, to gays and lesbians, to Gypsies, to Jews, the selection of the hapless "parasite" group lies in the hands of the Party bosses. Because they reject the premise of a God that says that all human life is valuable, human life becomes expendable whenever necessary to serve the "greater good". The utopia generally becomes a cold, dark wasteland surrounded by barbed wire and soulless guards. I am utterly appalled at the extent to which we have slid toward godless socialism in America. Take a few moments and look at some of these links. If you are in opposition to the socialist agenda, check out this impressive list of strategies that will be used against you to keep you in your place. Those opposed to their agenda are labeled "Radical Right". If they pose enough of a threat, a campaign of character assassination through the media begins. I found it two years ago on the "People for the American Way" site (www.pfaw.org) and recently put it up on my web server at www.bobgreen.com/tenthings.htm. It's a wonderful thing to have the enemy's playbook! You can go to the Socialist Democrats of America site and get a list of all the U.S. Congressmen that have aligned themselves with their agenda at *http://www.netprogress.org/legis/index.htm. There are fifty-seven (this most current list only lists fourty eight)that are proudly listed. Is there something radically wrong with this? One last link is an except from a book entitled the "Naked Communist" written by a former Intelligence Officer for the United States. It lists forty-five goals that communists/socialists had set for the United States. This was written in 1959 when none of these goals had been implemented. Go to this link www.bobgreen.com/redgoals.htm and count how many have already been fulfilled. What's it gonna take to wake us up, comrades? It would be wise for us as a society to move away from hatred that kills. Well, I would apologize for the heavy tone of this article, but based on what I'm seeing, we need to get real concerned real fast and let our voices be heard at the voting booths and within our own political parties. We also need to use mediums like the web to expose the roots of this nightmare wherever possible. Surf safe and I'll see if I can get more good stuff for the next article. E-mail me with your comments at bobgreen@bobgreen.com and visit my site at www.bobgreen.com. All of the links listed on this article are "hot", so you can click on them to go directly to the site. May God bless America again. 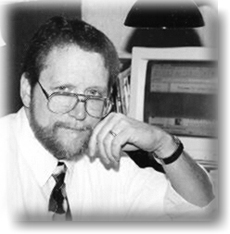 Bob Green is an Internet marketing consultant, freelance writer, speaker and website developer. He can be reached by e-mail at bobgreen@bobgreen.com.